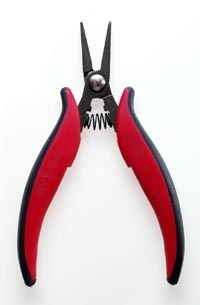 Smooth, rounded long nose pliers. Item #: PN-5025. 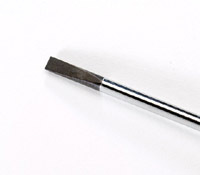 Steel: 5.0 mm. Nose Round. Jaws: Smooth. Outside Edge: Round. PLIER, PRO,SHORT FLAT NOSE, SMOOTH, DISS. 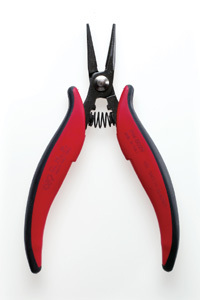 PLIER, PRO, LONG NOSE, SERRATED, DISS.